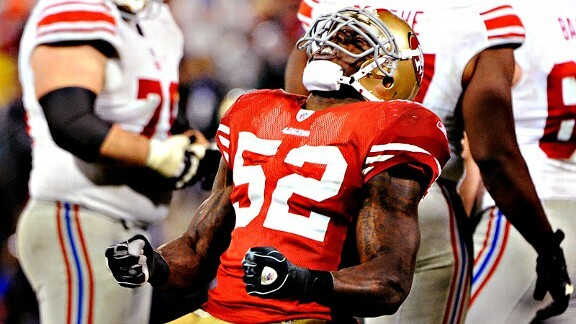 Thearon W. Henderson/Getty Image Patrick Willis is beating Victor Cruz in the "Madden NFL 13" cover vote. With the "Madden NFL 13" cover vote down to the Elite Eight, the closest battle is also the most voted on matchup of the round, and it's between Patrick Willis of the 49ers and Victor Cruz of the Super Bowl champion Giants. And while Cruz has been receiving some of the highest vote totals of any player throughout the early eliminations, he finds himself falling behind Willis early in their head-to-head struggle, with Willis collecting 54 percent of the vote to date. Could be that New York fans are finally voting with their brains and not their hearts, hoping to jinx their NFC rivals with the "Madden" cover curse. Then again, Willis has been such a beast in the polygonal football franchise for years, gamers might be paying back millions of Hit Sticks with votes, hoping to see the last remaining defensive player in the tournament finally get some glory. Don't want to see Cruz eliminated? Ready to vote Willis through to the Final Four? 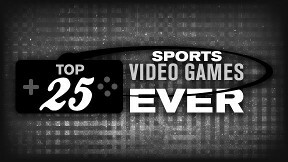 Either way, head to the official SportsNation "Madden NFL 13" cover site now and cast your vote before time runs out on your favorite player.